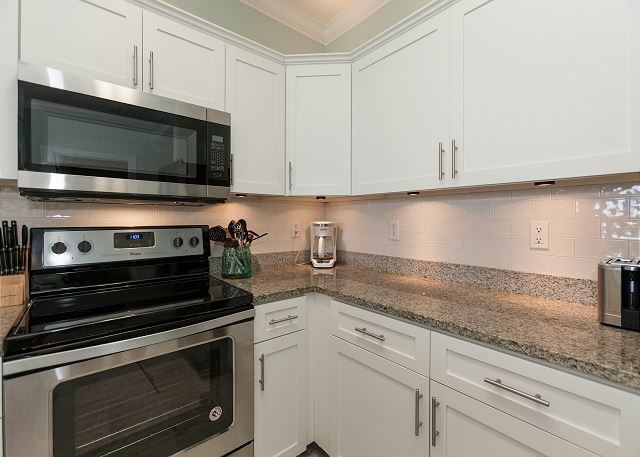 4th Floor unit no elevator waits our 2 Bedroom 2 Bath condo at Emerald Isle. 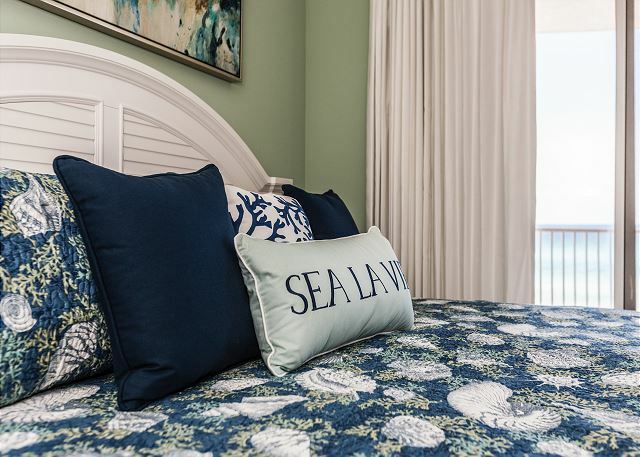 We promise our condo will not disappoint with a beautifully redecorated decor furnished with all brand new furniture and beds! 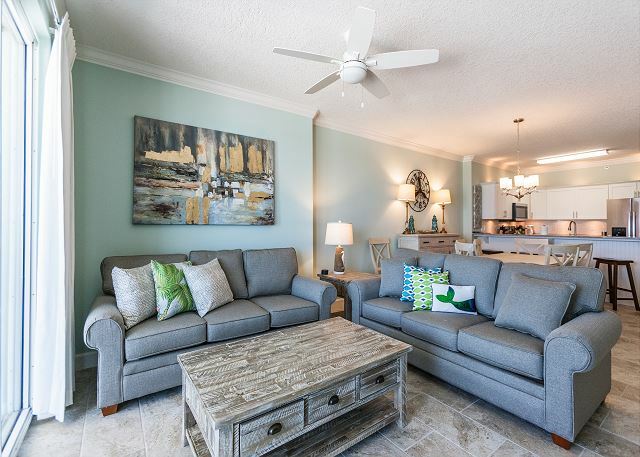 This condo can sleep up to 6 thanks to a plush new king size bed in the master and queen in the guest bedroom, queen sofa sleeper in the living room. The master bedroom and the living room open up onto your spacious balcony where the view of the ocean is amazingly beautiful. The master bath has a tub/shower combo. There is an additional full guest bath room that is connected to the guest bedroom. There is a fully equipped kitchen with all utensils, dishes, pots and pans you would need if you want to stay in and cook. The condo also has a full size washer and dryer. 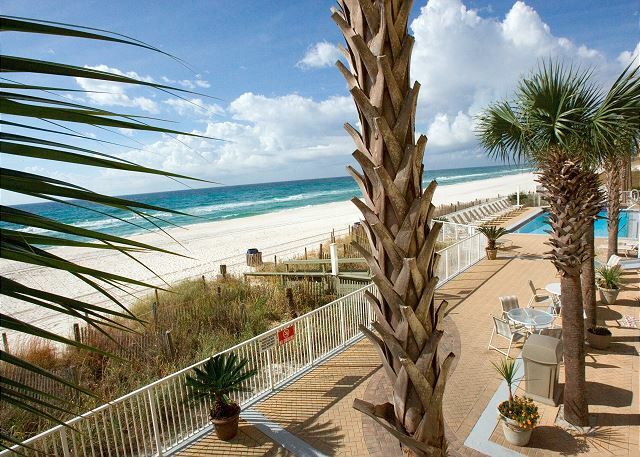 Emerald Isle has 2 large gulf front pools one of which is indoor and the outdoor pool is seasonally heated. Pier Park, the hottest spot in Panama City Beach is literally 3 miles away. Pier Park boasts unique dining, entertainment and shopping experiences. The list includes Jimmy Buffets Margaritaville, Tootsie's Orchid Lounge, Dave and Busters, Miracle Strip and national and local retail merchants. We were pleased staying in this beautul condo. The decor is tasteful and we had everything needed to make our stay enjoyable. The condo was very clean on our arrival, which is important to us. The resort is well maintained, the pools clean and it's most enjoyable to sit around the pool overlooking the ocean. Ada from Blue Marlin was quite helpful in booking the condo and making our check-in a breeze. Great customer service! I'd recommend this condo to my friends, comfortable and tastefully done! Great condo! Clean and nicely decorated. We had a great stay at Emerald Isle. The condo was beautifully renovated, the decor elegant and the condo was comfortable and clean. The pool area was very well maintained, the areas around the pool were regularly cleaned and everything was well done. We were well looked after by customer service, no complaints there. We enjoyed our walks on the beach, shopping at Pier Park and the concerts at the park. The fireworks on Mardi Gras were a real treat! The location is great, we're surrounded by many restaurants and we're close to department stores, grocery stores and pier Park stores. We don't need to drive very far to enjoy the the activities. We would certainly recommend this resort to friends. 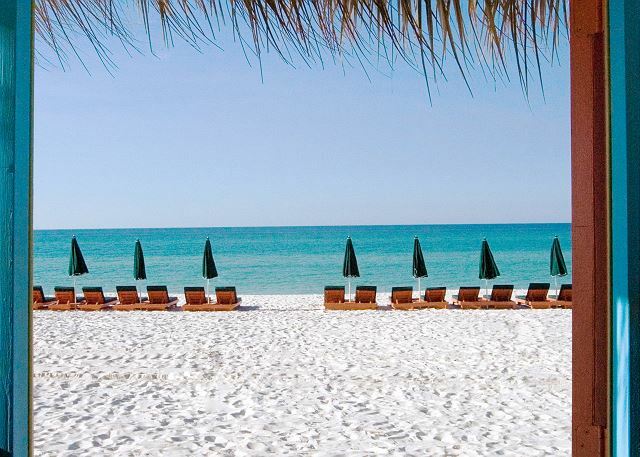 We always enjoy vacationing in Panama City Beach and this year was no exception. Great stay in unit 408 would highly fact we are looking into going back next year. One small problem we did have a drill going for 2 days while they took the carpet up above us. So I guess check with fall maintenance. But other wise a really lovely place to stay. The condo is SUPER nice. We will be staying here again as soon as we can! We had a great vacation, the condo was clean and in great condition. I could live there! It was a great property & the office was great help with anything we needed. It would of been nice to have longer hours at the pool-maybe a quiet hour! And would be nice to of had the same beach chairs everyday & not have to go down to get them everyday! But none of that was deal breakers-we'll be back! The condo was perfect for our family of 5. The condo is just beautiful. Plenty of room, comfortable beds, huge balcony. Being on the 4th floor was great. The only thing I would suggest is having a few more kitchen supplies. We had the best experience...we knew the first night we would be back and pursued reservations for 2019 which have been confirmed. I cannot say enough positive things about our experience. Our unit was so comfortable and quiet. It was the easiest check in and out I have ever had. I want to say a big thank you to the owner of our unit! You definitely created a first class vacation environment. The furniture was daughter actually slept peacefully which has never happened...we all did! If your looking for the best place to stay look no more! 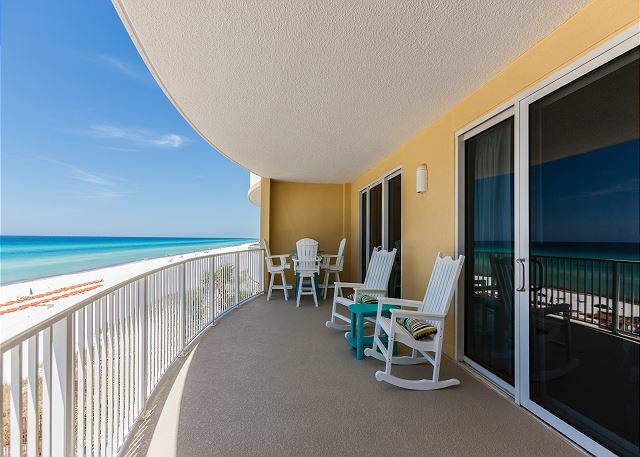 My family and I visit PCB every year and each year we try something different because a condo has never exceeded our expectations enough to return. This will be our new home each year because it was PERFECT. First off, the experience with booking directly is wonderful. Ada answered every question I had and eased any doubts I had before booking our week vacation. I was even more impressed when I received a phone call the morning I would be driving down to PCB and that alone let me know that this week was going to be perfect. No need to call and reread an email to figure out where to park, or where to get keys or codes, she had all the info in one quick and friendly call. Secondly, the room, wow let me tell you the pictures do not do it justice. The place is super clean, new furniture, and we had the best balcony furniture. It is absolutely BEAUTIFUL. The view is amazing, the beach is amazing, the beach side chair service was amazing with very kind staff. The staff at the entire condo were very friendly and this is the first condo we have stayed where there were no pool issues or people kicking you out "to clean" during operating pool hours. The room was perfectly stocked with kitchen supplies (we cooked everyday). Even my kids were impressed and said this was their favorite "house" at the beach. The location is perfect, as the beach is not overcrowded and not dull either. There is no traffic trying to get in and out of the place, and the parking is perfect as well. This is a well built condo because we never heard our neighbors or noise from outside which is a big plus for me. I am so grateful for the wonderful experience Ada and Emerald Isle provided to our family and we look forward to returning next year! Beautifully decorated condo with modern amenities. Newly remodeled. Clean. Good location and beach view. Nice stay at the beach. Be careful where you park. Paper products and kitchen supplies were minimally stocked. Had a great time. Very nice room. Wonderful week at Emerald Isle. First time ever staying there and loved it. Unit was newly remodeled.